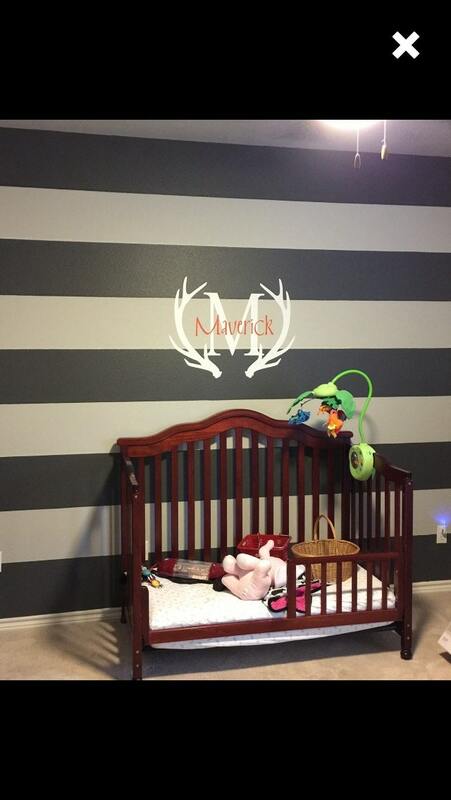 This adorable decal would be the perfect finishing touch in any hunting themed nursery or bedroom! Cut from the highest quality indoor matte finish vinyl, it will give you the look of three coats of paint, but without the time or mess. 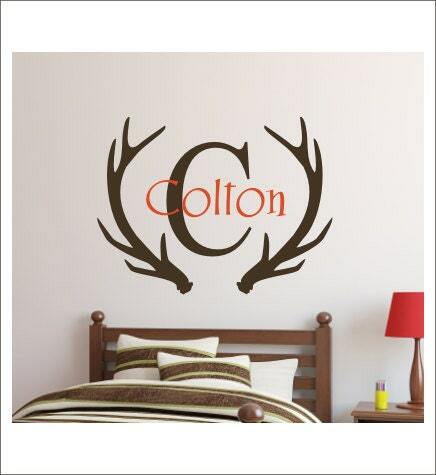 This decal set will come to you in two separate pieces (antlers and initial is one piece, name is the second) for you to layer/arrange as you wish at application. Decal is approx 23"H x 30"W.
***Please Note***Decal not necessarily scale to size in example pic. Most are enlarged to show detail. Actual size is listed above. It's always best to measure first! I LOVE our vinyl for our nursery! 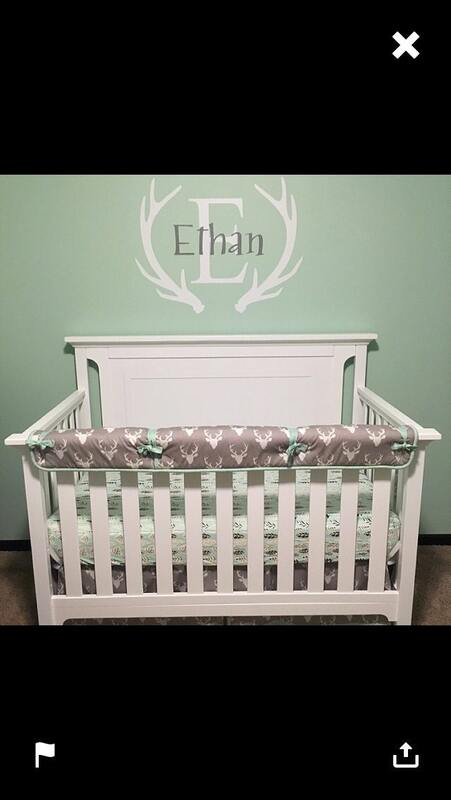 Our little man is due in a little over a month and this just MADE his nursery perfect! Loved the video she told us about to watch. It made application easy and we had ZERO issues! Thank you!! 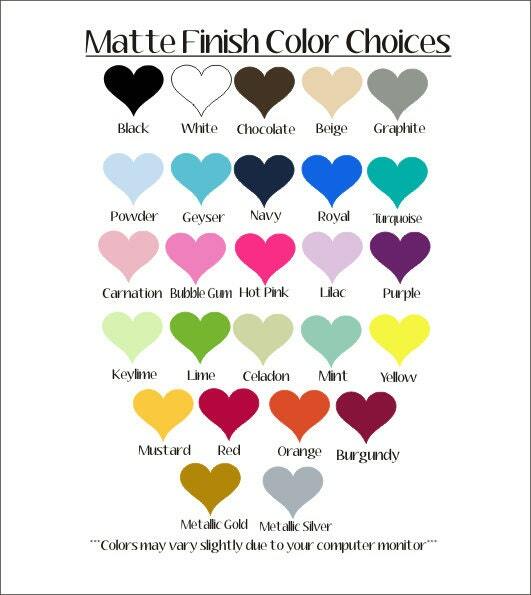 Really love it!! Received it very fast.